Candlefuse is made up of four guys with diverse musical backgrounds who share one common goal: a desire to serve God with their abilities. Using guitar-driven yet melodic rock that appeals to a largely diverse audience, their high-energy live show has attracted a following of all ages. Based in North Alabama , the band includes Ben Honeycutt (vocals, guitar), Drew Garrett (guitar), and JW Woodward (bass). 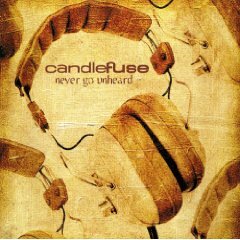 Candlefuse began playing together in 1999 and chose their name from Matthew 5:14 and Psalm 133:1, reflecting their desire to be unified as a light in a dark world. 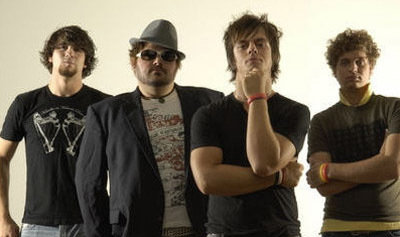 In January 2004, they placed first in the Bash of the Bands competition at Dekalb Theater and won the audience choice vote of a sell-out crowd. That spring, they made their national television debut on INSP. They followed that with the released of their first national radio single, "Bulletproof," in March of 2005. Their release, full-length debut album, “Never Go Unheard,” features 9 original rock songs and a new version of the popular worship song “Hungry.” The record exposes the heart of the band – to boldly share the love of Jesus Christ. With aggressive guitar hooks and commanding vocals, songs like “Fighter” and “Echoes of Words” communicate that Candlefuse is not timid about sharing their faith. Lead singer, Ben Honeycutt, says, “Our focus remains on Christ 100%. Our mission is simply to let people know about Him-- to let them know how lost we are without a Savior.